Pet emergencies can be terrifying for pet owners because very few of us know what to do when they happen. Instead, we panic and in our distress, fail to take action fast enough. 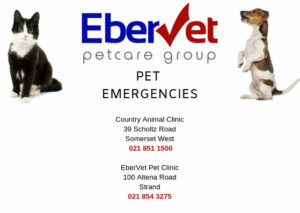 What is essential is that you get your pet to the vet as soon as you can, and call ahead if possible so they can prepare for your arrival. This could include car accidents and bite wounds. The first rule is not to put yourself in danger so be extra careful when handling an injured animal. If there is significant bleeding, hold a dishtowel tightly against the wound. Cover your pet (including his head) with a blanket if there is a risk of being bitten or scratched. Put smaller animals into a basket or carrier. 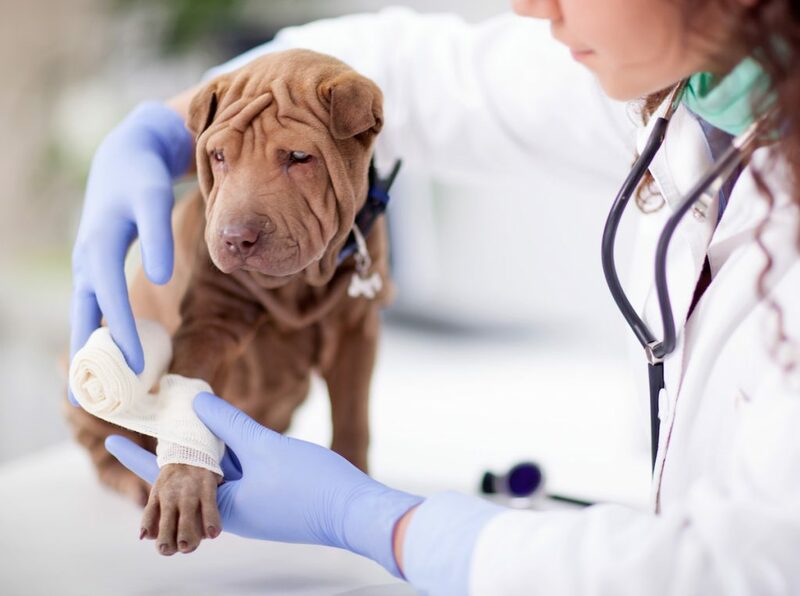 Get your pet to the vet as quickly as possible as it is always cheaper (and less traumatic for your pet) to have the wound attended to immediately than to wait a few days. Stay calm and keep your pet calm by letting him or her lie quietly in a box or carrier. This is particularly important if you’re dealing with a cat or bird. Don’t hold your pet tightly against you and keep your car cool. Get to the vet asap. If you realise your pet has ingested poison, phone your vet immediately for advice. Never, ever try to self-medicate your pet or try to induce vomiting without talking to your vet first. If your pet has eaten rat poison, the symptoms may only show up two weeks later. If you see him eating it, get him to the vet immediately even if he looks absolutely fine. If we wait for symptoms to show, it’ll be too late to save him. 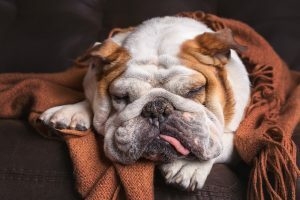 If your pet has a seizure or fit, do NOT put your hand in his mouth. He cannot swallow his tongue. Stay calm and time the length of the seizure. Note whether your pet’s tongue is pink or blue (this will help the vet make a diagnosis). If the seizure lasts longer than two minutes, get your pet to the vet immediately. If it lasts less than two minutes, monitor him for the next 24 hours and if he has another seizure then you must get him to your vet. If your dog is unconscious and has stopped breathing, administer CPR and continue the practice until you get him to the vet. If he’s still breathing, get him to the vet as fast as possible. When you arrive at the vet try to explain exactly what’s happened. Your pet may be rushed away for treatment. The vet will report back to you the moment your pet is stabilised. The sooner we respond to an emergency situation, the greater the chances of a good outcome.